House 101 is a soundset aiming to be an all-in-one-solution for all kinds of sounds you might need for dance music production, using only one synthesizer: the TAL Bassline 101.
from drums to synths, pads and sequences. While the TAL Bassline 101 is based on the classic Roland SH101 synthesizer, there are a few important improvements that make the Bassline 101 an outstanding synthesizer. Firstly, it can be polyphonic - so you can do pads and advanced lead chords melodies. Secondly, it has a built in sequencer / arpeggiator - making it easy to create 303:esque vibe basslines. House 101 was inspired by One Synth Challenge at KVR Audio, and contains all sounds you need to create house music. From fatty bass sounds and plucky leads, to modulated pads and a large number of drum sounds such as punchy kicks, noisy snares and hihats, and of course a large number of sequences including acid house-inspired basslines. The cool things about using only one synth for a whole production is that it will create a coherent tight sound. Just add a few effects like reverb, delay, a good phaser and maybe a distortion - and you have everything you need for making dance tracks with a minimum of effort. Check out the video below for an example. The demo only contains sounds from the House 101 soundset. On some sounds we have added reverb and delay from Ableton Live. Nothing else is added. 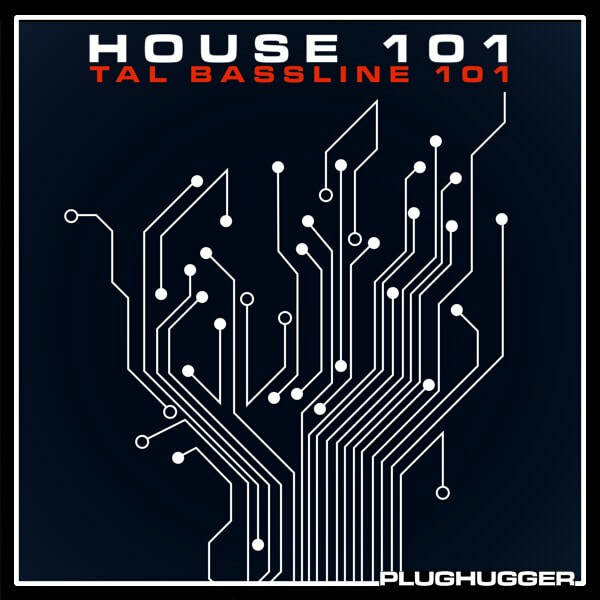 IMPORTANT - House 101 is a soundset for TAL Bassline 101. This product requires a fully working copy of TAL Bassline 101 to work. This is not a sample set. Please check out the FAQ before buying.